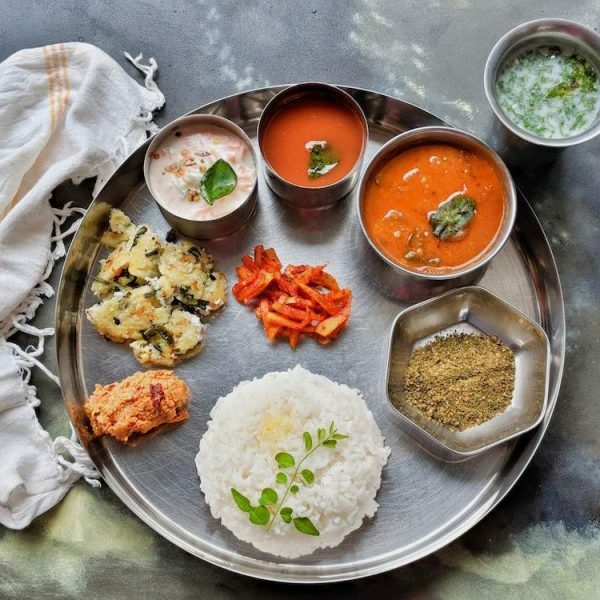 Growing up in my grandparents’ home, 4 o’ clock tiffin time was sacrosanct. As a kid, I had a hierarchy of tiffin dishes in my head. I’m sure you had a list of favourites, not-so-favourites and outright disliked dishes too. Top of the list and most revered was bajji (deep fried pakodas made with an assortment of vegetables). It was made not more than once in 3-4 months. It is deep fried deliciousness and I haven’t come across a single sensible person who doesn’t love bajji. Next was sevai. This was a labour intensive dish which needed freshly ground rice batter, steamed into balls, pressed through a contraption that looked like a medieval torture device. The end result was the fluffiest rice noodles that can be possibly made by mankind. No exaggeration. Adai, dosa, uttapam and upma fell somewhere in the middle of the spectrum. Not stuff I’d drool over, but not bad either. Idli was somewhere at the bottom, because it made a very regular appearance and to be had just with molagapodi, it was boring enough to gobble without much thinking or arguing. If something fell even below the bottomline, it was the instant dosas made either using maida (all purpose flour) or atta (godhuma dosai). This happened when we ran out of idli / dosa batter and Ammama (granny) didn’t have time or inclination to make anything interesting. Out of the two, the maida dosa (maidamavu dosai) was the worst thing ever. With that ‘kozha kozha’ (the perfect Tamil word for glutinous) texture in the mouth, even the tempering of chilies etc could do nothing for it. Godhuma dosai (whole wheat flour instant dosa) was just slightly better than the Maida dosa. The lesser of the two tiffin evils. This time, I tried the Instant Whole Wheat / Godhuma Dosai with Aashirvaad Sugar Release Control Atta. With the addition of onions, coriander, tempering, it made a delicious tiffin. 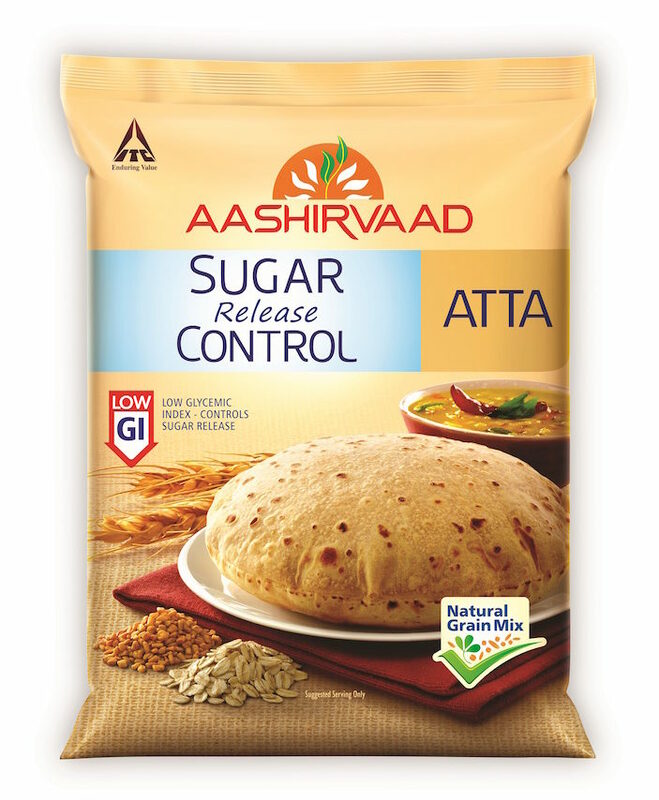 A little about this Aashirvaad Sugar Release Control Atta here – it is a blend of whole wheat flour and pulse/legume flours, making it higher in protein and fibre than regular atta. 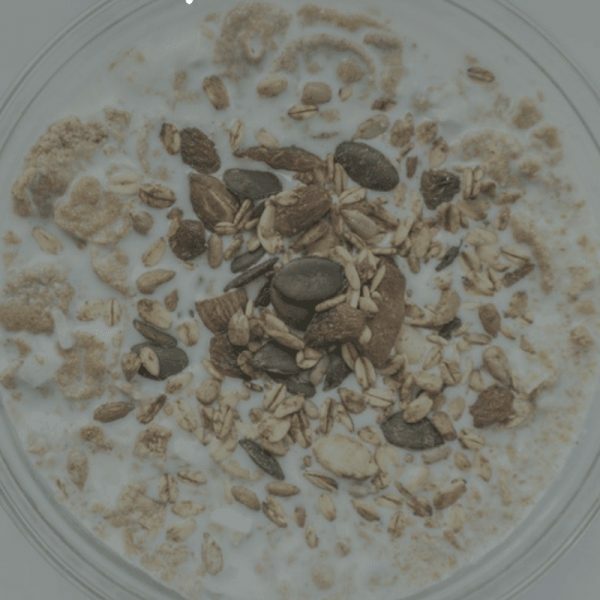 This mix also puts it in the lower glycemic index scale (GI 53). Diabetics do better with eating lower GI foods because it means that the sugars from the food are released in a more gradual manner than in sharp peaks. 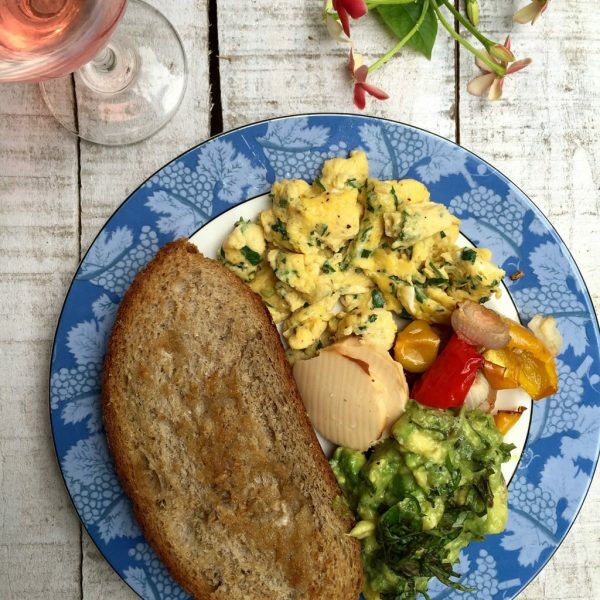 It is also useful for people following a low GI diet for weight management. 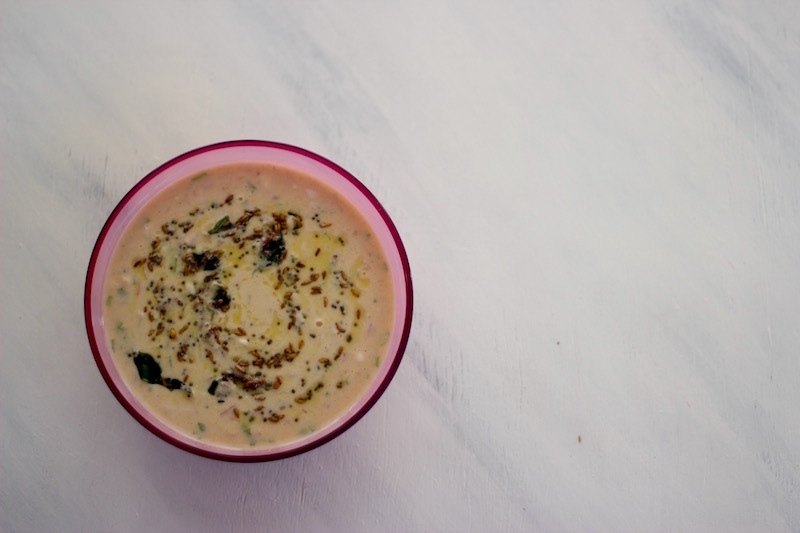 Had with a protein-fibre rich sambar or with a cup of yogurt, this dish makes a complete meal, for breakfast for any other other meal of the day. I would rate this as an ideal recipe for diabetics. 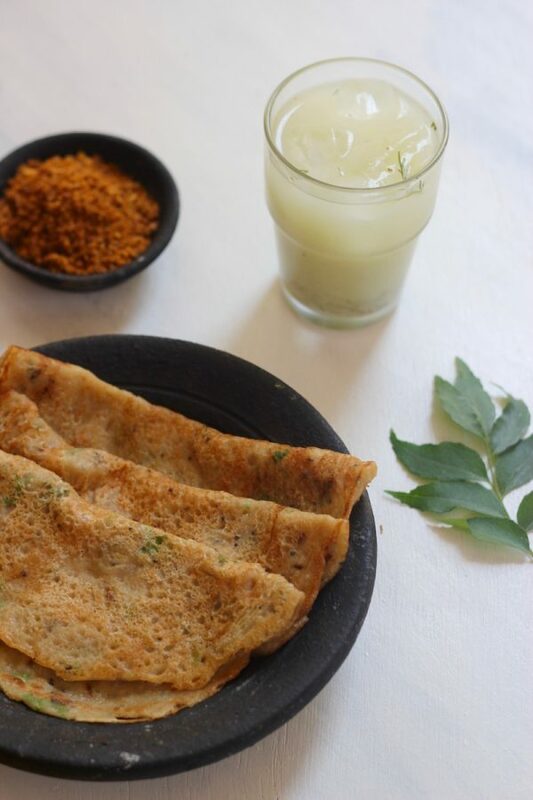 Taste wise, I could not detect any difference between this godhuma dosai and the ones I have made from plain whole wheat flour. I end up adding a spoonful of rava / semolina to give it some crispness. It is optional though. ​In a bowl, combine Aashirvaad Sugar Release Control atta, water, salt, rava, coriander​, ​onions​​ ​and ginger. Whisk to get a smooth batter. In a small pan or a tadka ladle, heat 1 tsp oil. Add mustard and cumin seeds, let it splutter. Drop in the curry leaves and chopped green chillies. Give it a quick stir and transfer this tempering into the prepared batter. Cover and keep aside for 10 minutes. Heat a non-stick tava. Mop a few drops of oil over the surface using a kitchen paper. Pour 1 ladle of batter (roughly 1/4 cup) in centre of the pan and moving the ladle in concentric circles from inside to out, make a thin crepe or dosa. Circle it with 1/2 tsp oil and allow to cook for 3-4 minutes on low flame until golden. Using a spatula, gently flip it over and cook the other side also for a minute or so. Remove and keep aside. Prepare remaining dosas using the batter. Serve with flax seed molaga podi. 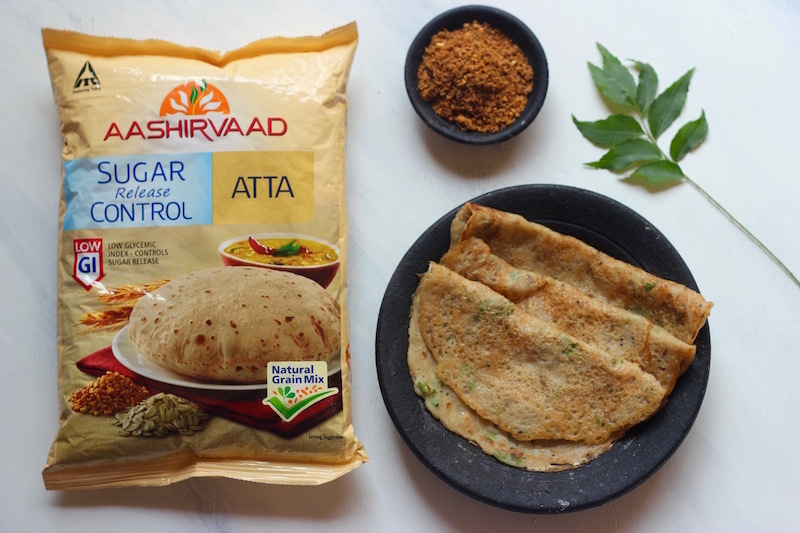 This recipe is brought to you in association with Aashirvaad Sugar Release Control Atta. We work with school teachers and are based out of Bangalore. We calm ourselves Teacher Ink. I came across your article in The Hindu paper’s food supplement. I love the way you have written your book. 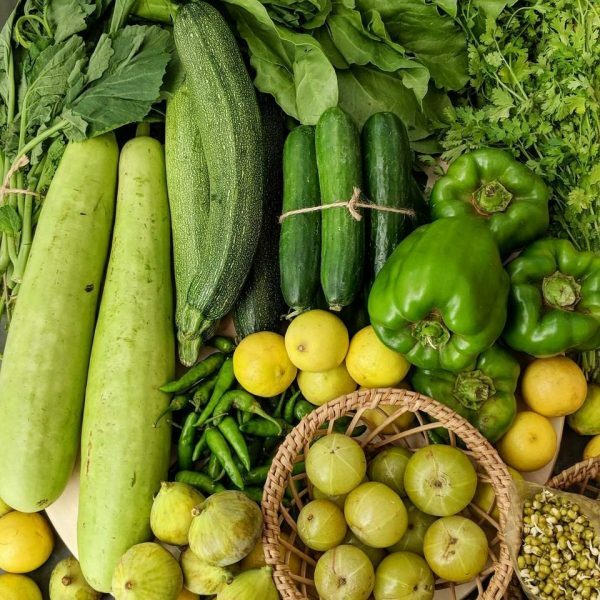 We would like to connect with you for a nutrition workshop that you could do for Teachers. Hello Susmita, thanks for writing in and sorry about not responding earlier. Can you please email me saffrontrail at gmail dot com and we can discuss this further.